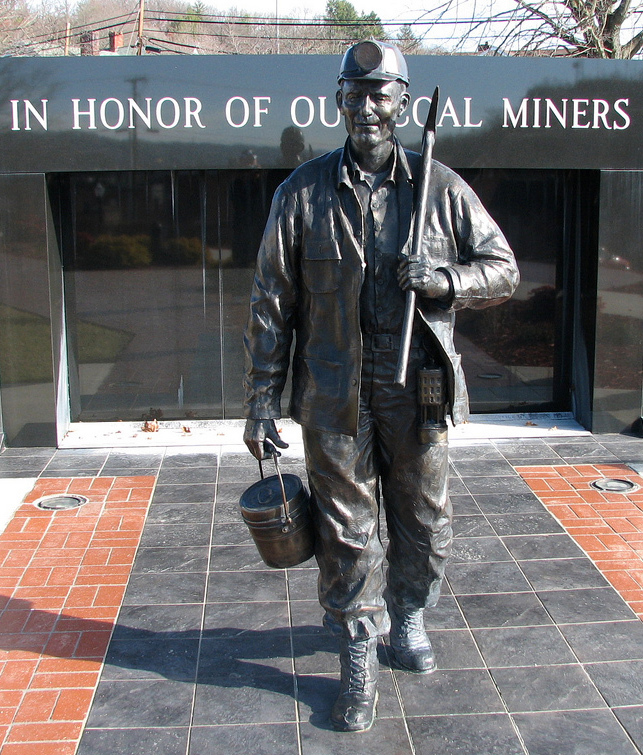 Richlands Coal Miners Memorial; official symbol of Virginia. Photo by Big Ed's Photos/Flickr (Noncommercial Use Permitted with Attribution/No Derivative Works). From Virginia.org: "Dedicated in 2003 ,the memorial is a tribute to the men/women who sacrificed all they had to make a living. The memorial sculptured by Maria Kirby-Smith depicts a miner exiting the mine. He's covered in the toil of the day with his lunch bucket & pick in hand as he catches a breath of fresh air. The black granite wall represents the mine ... Etchings of the history of mining linger on the face of the monument while the back bears the names of over 1000 miners who died fulfilling their destiny. The engraved brick walkway lights the path for the miner as he continues his track home. Artists: Ellen Elmes & Thomas Hagerman." 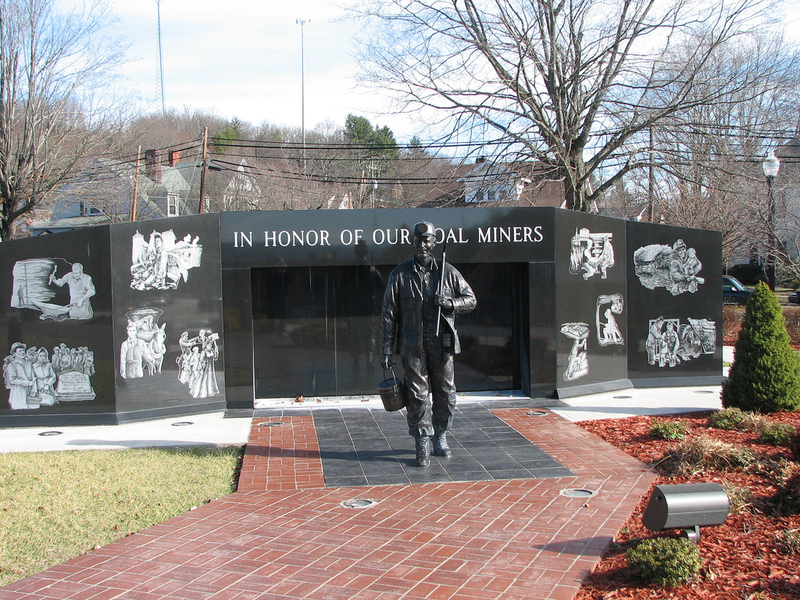 Richlands Coal Miners' Memorial; officially recognized by the Commonwealth of Virginia as a state symbol. Photo by Big Ed's Photos/Flickr (noncommercial use permitted with attribution/no derivative works). 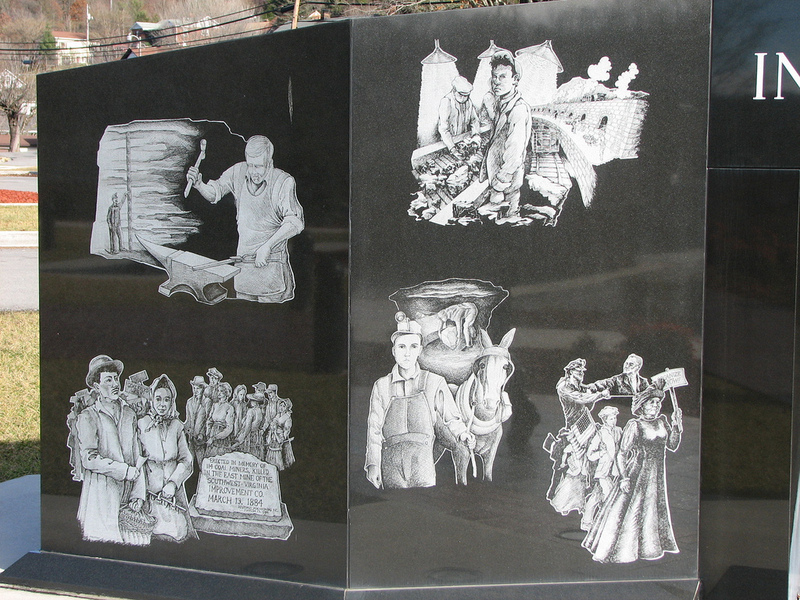 Richlands Coal Miners' Memorial ; details of etchings on right side of monument. Photo by Big Ed's Photos/Flickr (noncommercial use permitted with attribution/no derivative works). 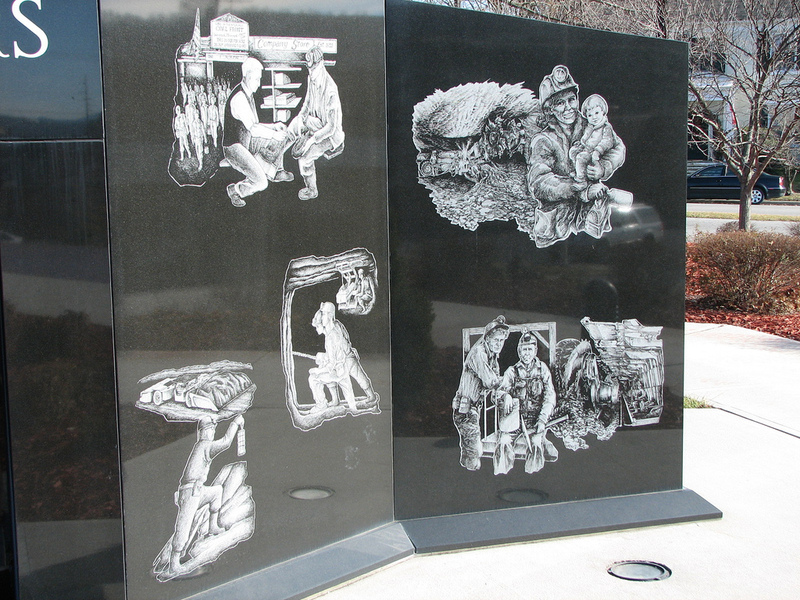 Richlands Coal Miners' Memorial; artwork on left side of monument. Photo by Big Ed's Photos/Flickr (noncommercial use permitted with attribution/no derivative works).